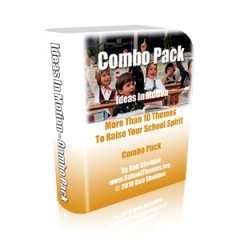 School Party Themes – Any Reason! School parties are held school-wide or in classrooms and school party themes can add that exciting element to all the events. Parties are held for lots of reasons: the beginning or end of the school year, to promote student interaction, celebrate a school academic success, promote a sports event, student dances, graduation and or... as fundraisers. Parties are held by all classes... from preschool to 12th grade -high school parties and certainly college. It's celebration time. They are often special celebrations and very much a part of the school year at private schools, public schools, vocational schools and special education schools. Create a night to remember! With over 100 theme kits and thousands of unique decorations. Transform your room into a night in Paris, a City paradise, a star studded event and so much more! Use Stumps technology to view each Theme Kit before you buy. Don't forget about the easy-to-assemble theme kits to make your Party come together in a snap! And party planning is less of a challenge when learning opportunities are introduced in a relaxed and enjoyable atmosphere. Not everything in school has to be serious. Sometimes it's beneficial to just let students stop and celebrate their successes through kid themes. School parties can also be used to teach about culture, traditions, holiday events and other "feel good" times. All celebrations are more memorable when your theme is embraced by all participants. This usually means not just any theme can be used. 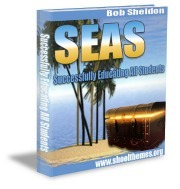 You'll want to spend some time with students and staff deciding upon a meaningful topic. School party themes should meet certain requirements. Depending upon the location, student age group and your resources, it can often require a fair amount of planning to get your school party kick started. It's no secret that the right party theme will attract the help you need and give everyone something to look forward to. Once you know your age group let the creative juices flow. There's hardly a topic, a name, a title or word phrase you couldn't turn into a theme idea with a little imagination. If it's a school-wide party you're planning, you'll want your theme to appeal to multiple grade levels. Otherwise individual classroom parties allow you to sharpen the focus and think about material or events covered in that particular grade. School Party Themes – Choosing the Best! Parties have always been a popular way to let loose or help people celebrate. Even ancient records show gatherings of people dressing in special clothes, preparing celebratory food and sharing in stories and fun. Parties are usually based on a particular reason, a holiday or accomplishment. School party themes allow us to carry on this tradition in original but stimulating and inventive ways. Picking the right idea... one that excites most all of the party goers... is important. There are literally thousands of choices to choose from. Your students, staff, administrators and community members will all be good sources to check with for the best party theme ideas. Of course there are alternatives... Professional advice can be an option. You might save money and time. It could be discouraging to plan a party, spend money on supplies and then have little participation. For major events... or large parties, consultants can assist your school and teachers with theme selection if necessary. Your school or classroom party can mark a special achievement or serve as a social reminder... one that encourages student interaction and fun in a responsible way. 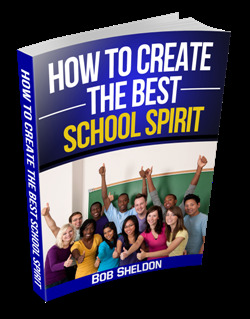 School party themes can deliver those special moments... of student and staff recognition and be a treasurable reminder of your unique school spirit atmosphere. Leave School Party Themes and Get Your School Theme!